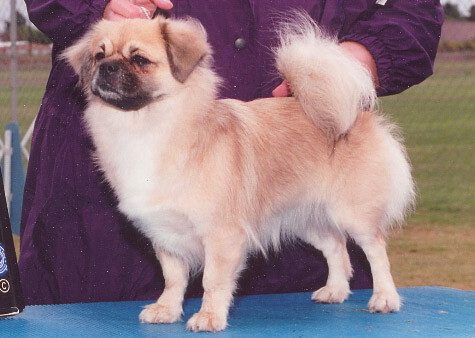 Brought to the United States in 1966 and recognized by the American Kennel Club in 1984, Tibetan Spaniels (Tibbies) originated in the Himalayan Mountains as companions and watch dogs in the monasteries of Tibet. 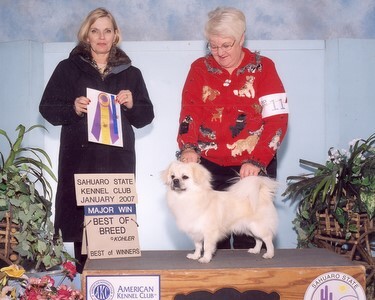 Aloof with strangers, Tibbies are happy dogs and are devoted to their family. Tibbies love to perch on high places and survey their surroundings. They keep a watchful eye and sound the alarm when things appear out of the ordinary. 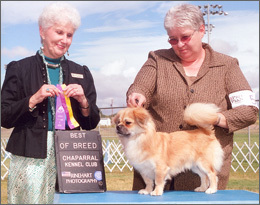 Overall, Tibetan Spaniels approach life with a joyful attitude. 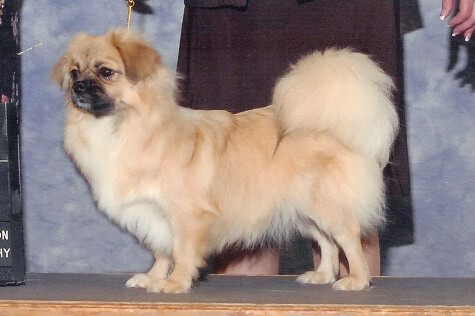 They love to run and play and thrive with lots of attention and exercise. They can be, however, aloof with strangers simply because they prefer their family to the company of people they don't know. 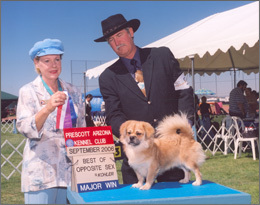 We acquired our first Tibbie, CH Tibroke's Run for Cover ROMX, in 2001. 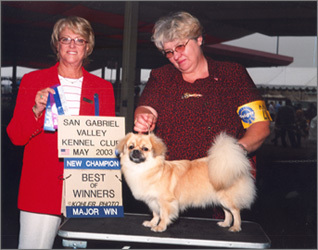 Then in July 2003, after handling and finishing CH Westview's Sarai of Finiki for Jim Strassels and Sharon Witherspoon, we were presented with the opportunity to join Jim in the co-ownership of Sarai. 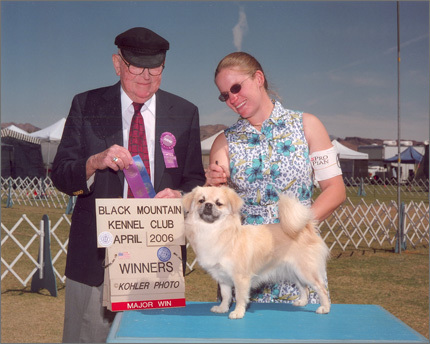 Our devotion to the breed was cemented by this beautiful Tibbie. 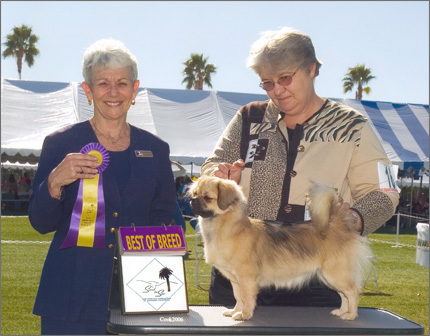 We are members of the Tibetan Spaniel Club of America and strive to adhere to the organization's Code of Ethics. Click here to view Sarai's personal page. Click here to view Joey's personal page. Click to view Turbo's personal page. Click here to view Chica's personal page. Click here to visit Elsa's personal page. Click here to go to Jewels' personal page. Wanda's personal page is under contstuction. 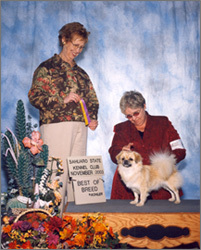 Pictures and info on Ruya's first AKC Grand Champion will be posted soon. Click here to see more pictures of Vida.